This past weekend I headed out to some local trails, for an afternoon full of running adventures. The weather was starting to cool, but in some parts of the trail, the sun was very bright and warm. So after running past native shrubbery, horses, and rabbits, I turned the corner and heard a hiss like noise that sounded the way a bush would sound if it were really agitated. Now, while running on the trail, hearing bushes shake and sounds 3-5 feet off the trail is completely normal. There are plenty of animals that are camouflaged in their natural habitat that we never see, but that get startled as you run by. This was a different sound, probably because it wasn’t 3-5 off into the bushes jus off the trail, it was more like a foot away from where my foot just struck the ground. 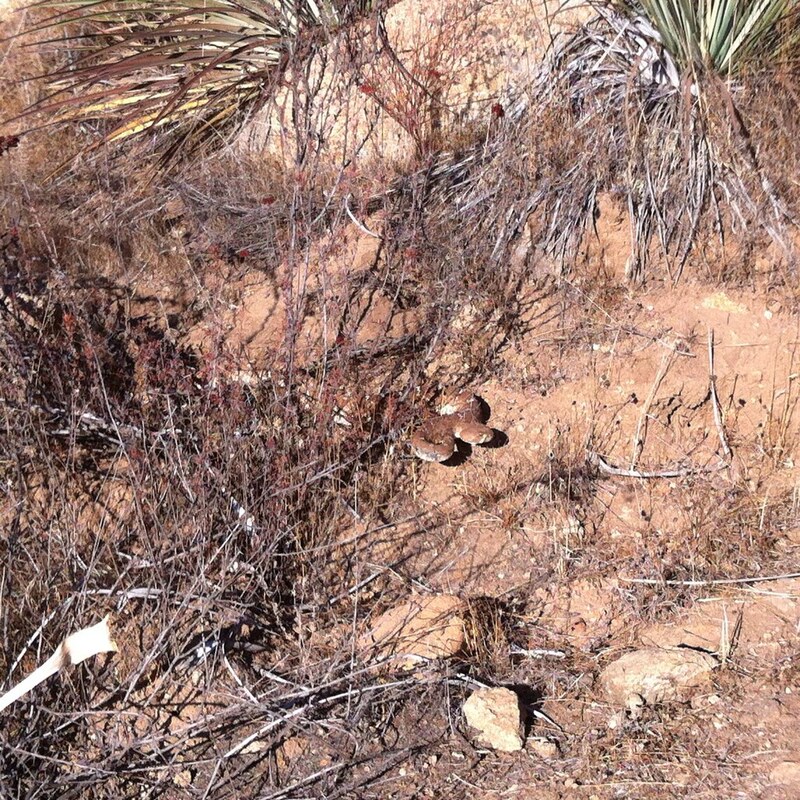 I looked down, and there is was sitting there in the sun… a rattlesnake. My reaction to jump steps back happened before I could even gauge what was going on, which I was thankful for. Then I remembered, among all the types of animals you would see on a trail in Southern California, rattlers are one of them that you should never forget about. It’s easy to though. Once you get going in your own running adventure, without actually seeing a threat on the trail, you can tend to forget that these things are out there. So after announcing to my running partner what I had just discovered, we stood there and watched it watch us for a bit, until it decided that it was safe to slither away. We stood amazed as how beautiful it was, and how scary it was at the same time. After it went on its way up the hillside is when we continued on the trail. This was the first time my partner had ever seen a rattlesnake out there on the trail, being that she just moved here from the other side of the country. I was glad that she got to see what kind of nature we have here, but then she asked, ” what would we do if it bit one of us?” Well, we would surely be in trouble is what I told her. So this got me thinking. Considering the fact that I run on trails, and that these things live in trails, I really should know what to do if I (or anyone else) suffered a rattlesnake bite. So I did some research. I by no means am a doctor or any other type of certified rattlesnake expert, but here’s a bit of information that I discovered. 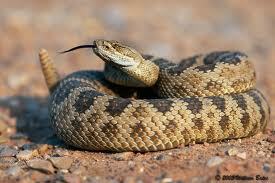 The majority of rattlesnake species live in the American Southwest and Mexico. Rattlesnakes are the leading cause of snake bite injuries in North America. 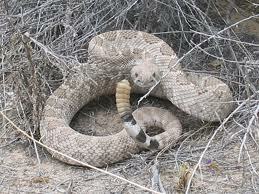 Rattlesnakes are predators living off of birds and rodents. They will generally avoid humans if they can sense their approach. Rattlesnakes have a venomous bite that destroys tissue. If treated properly, rattlesnake bites are rarely fatal! Rattlesnakes rarely bite unless they feel threatened or provoked! In Southern California, rattlesnakes are common in rural areas, but it is not uncommon to find them in residential areas that are located near hills and open land. Just because you may not be on a trail doesn’t mean you could never encounter one. Here’s what to do in a bite situation. Remain calm, and retreat from the snake at least 10–15 feet. The victim needs to receive medical help as soon as possible. While on a trail the arrival of medical personal could be difficult to get depending on how far in the trail the victim is, so act quickly. Remove restrictive clothing from the victim including watches and jewelry. Stay calm. The victim’s heart rate does not need to go up which will only allow for faster circulation of the venom. Walking back to the trail head if the victim is not too far into the trail could be an option, if the pain is not too severe. Doing so might help get assistance faster. If it is too far or requires too much work, staying put is probably best while waiting for medical personnel. Tourniquets, incisions or sucking the venom out of the wounds should not be used or performed. 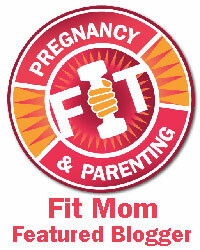 These are proven to be ineffective, and may actually cause more harm than good. These snakes live out on the trails, so it’s not fair to harm them when we enter into their territory, but it’s important to know how to coexist with them. If you are running and run into one like I did, stop and step out of its way a good 10 feet. These animals don’t want to bite you because doing so will waste energy on something that they are not going to be able to eat, but they will if they feel threatened. Calmly walk away, but remember where you saw it as to warn others that are approaching in the area. Also check out this site for more information on the topic, Wildlife Encounters – Part I. Be careful out there on the trail!